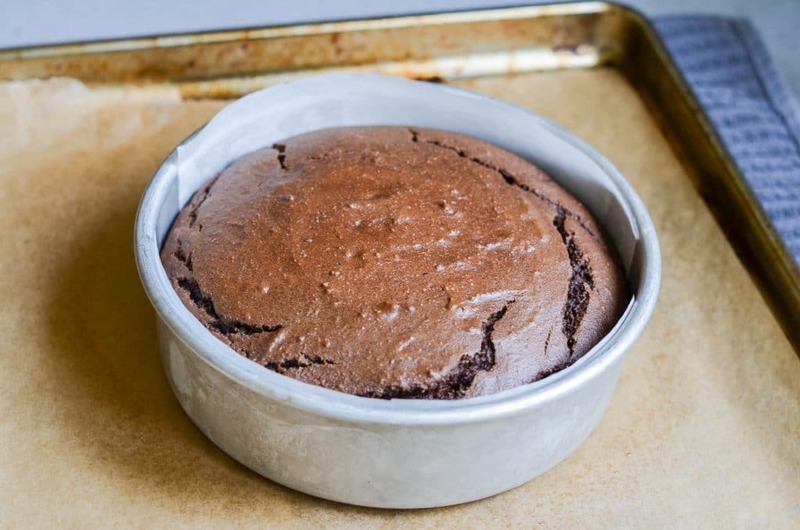 The BEST Paleo Chocolate Cake Recipe That Is Insanely Easy! 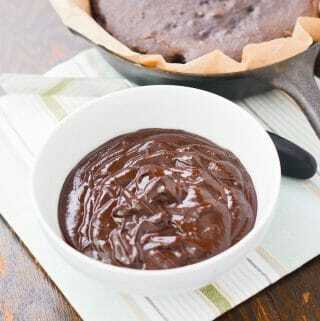 The BEST Paleo Chocolate Cake That Is Insanely Easy! 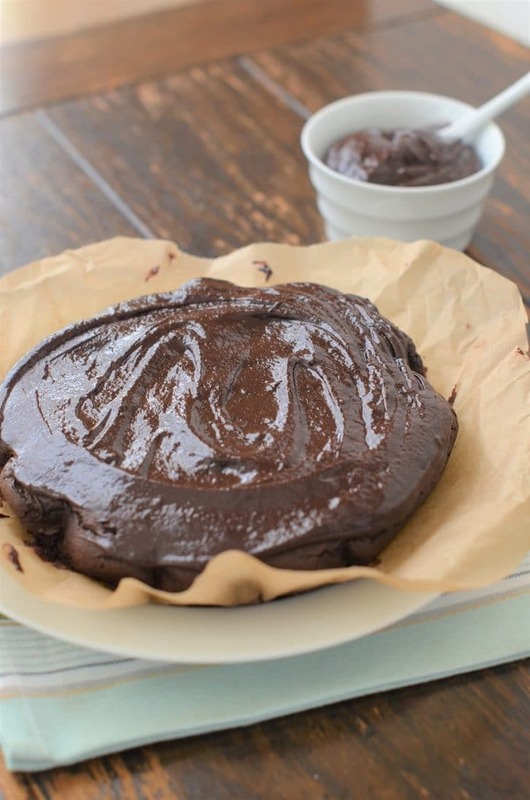 Home » Dairy Free » The BEST Paleo Chocolate Cake That Is Insanely Easy! Chocolate cake and I have a long history, but as luck would have it, I’m on a grain-free diet. How to find the best, easy, grain-free chocolate cake I wondered. A Paleo chocolate birthday cake recipe that was amazing. 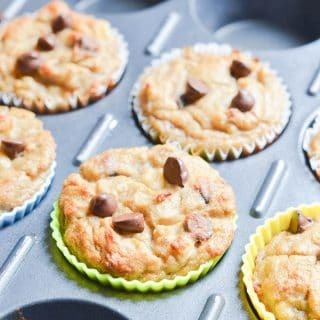 My baking career started at the age of four, where on my outdoor patio, at my family’s house on Long Island, I mixed up batter from store bought packages and then baked it in my cherished Easy Bake Oven. Soon after I was baking real cakes. 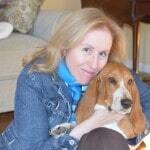 And, during these years I fulfilled my lifetime quota of marble bundt cakes. Just about every celebration or milestone has cake. Three years ago, my doctor asked me to try a gluten and dairy free diet (then, eventually grain free). I said yes, but not without tears. So many changes. So much to learn. And the ultimate question? Would it work? The diet has been amazing for me and turned out to be the best thing to help heal my gut issues. One reason? This Paleo Chocolate Cake. Every day, not just for special occasions, decadent chocolate cake. 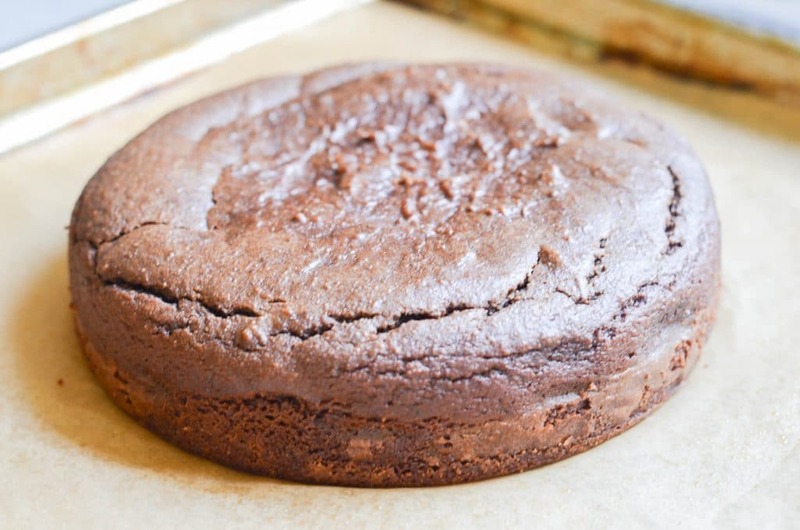 This easy paleo cake is intensely chocolate, fudgy, and moist. Spread a little chocolate ganache icing on it. This also makes the most amazing chocolate birthday cake. For an 8 inch round cast iron skillet, press some parchment paper inside. If you place something like a few potatoes on the parchment paper, it will usually keep it down in the skillet until you are ready to add your batter. I have also made this in a 6″ round cake pan (see photos below), which I line with parchment paper for easy removal and clean-up. 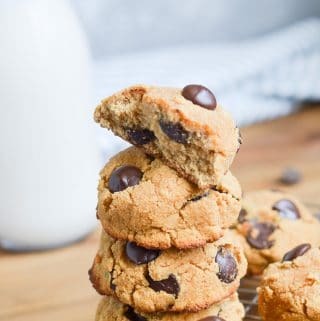 Add all of the ingredients (almond flour, almond butter, egg, pumpkin puree, organic raw cacao powder, maple syrup, baking soda, vanilla, and salt) into the bowl of an electric mixer and mix on medium for about 2 minutes. (Full printable instructions are at the bottom of this post). Pour batter into the cast iron skillet and bake for 25-27 minutes until a toothpick comes out clean and cake looks done. Let cool completely before frosting or icing the cake. 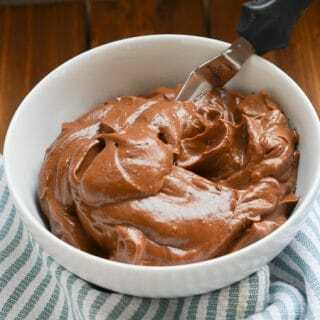 Perfect with this easy dairy free chocolate icing that is shown in the photos. Paleo chocolate cake batter in 6″ round pan that has been lined with parchment paper and sprayed very lightly with coconut oil spray. Baked Paleo chocolate cake out of the oven cooling on the baking sheet. Allow at least 30 minutes for cooling. Cooled Paleo chocolate cake ready for icing! Look at that amazing texture! 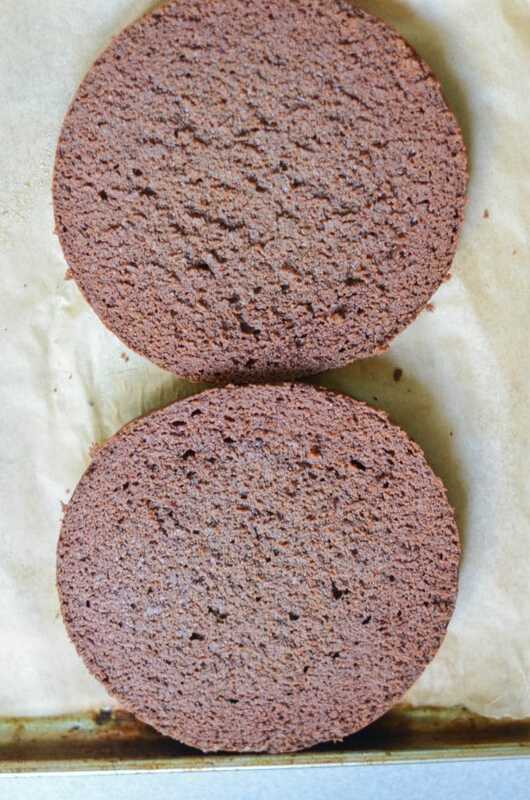 Here is a photo of the Paleo chocolate cake sliced in half to show the interior texture. I have found that the cake is best-left whole with icing on top. If sliced in half, a thin coating of icing would work in the middle. I find storing in an airtight container (such as these) works the best for me. For best results, consume within a day or two of baking. But realize this cake has amazing disappearing powers. I hope this will become your favorite grain-free chocolate cake for birthdays, celebrations or just an everyday chocolate fix! 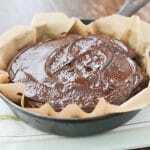 Please feel free to share this with anyone you think would love a delicious Paleo flourless chocolate cake! 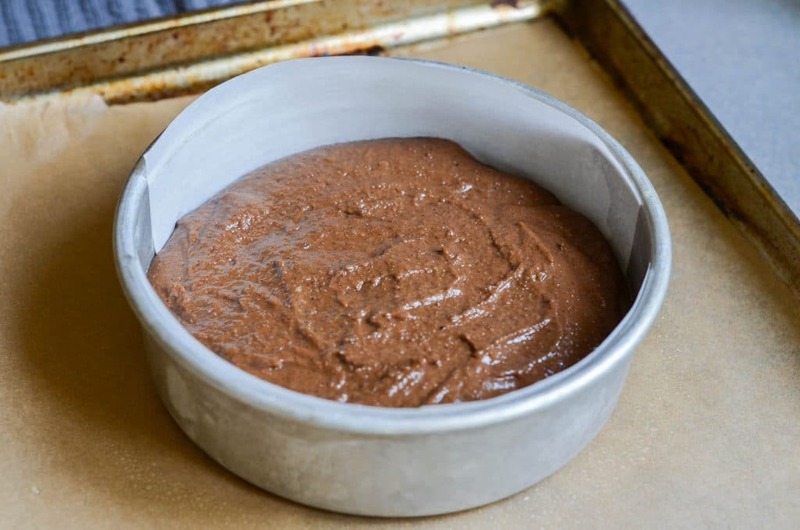 The BEST Paleo Cake That Is Insanely Easy! This is my go-to decadent paleo chocolate cake. 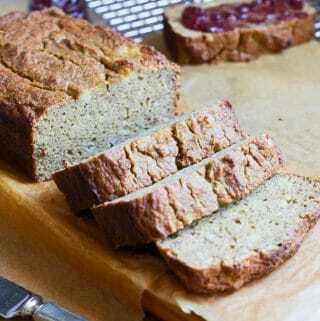 It is easy to make, grain, gluten and dairy free. 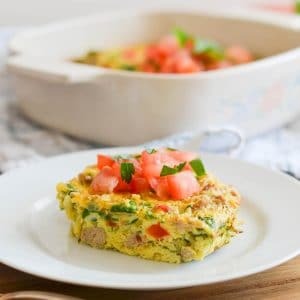 I love to make it on a parchment paper lined skillet for easy cleanup. It's a winner all around! Preheat oven to 350 degrees F. Using parchment paper lined an 8" cast iron skillet or a 6" cake pan. 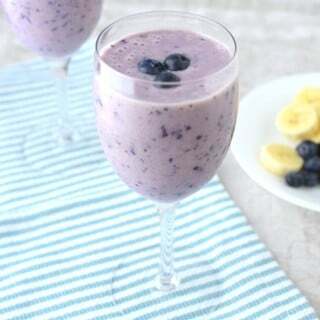 Add all ingredients to a mixing bowl, and using an electric mixer, mix for several minutes in well mixed. You can also mix in a bowl with a wooden spoon or spatula if desired. If you go this route, you should probably whisk the almond flour to get out all the lumps and then add the remaining ingredients. 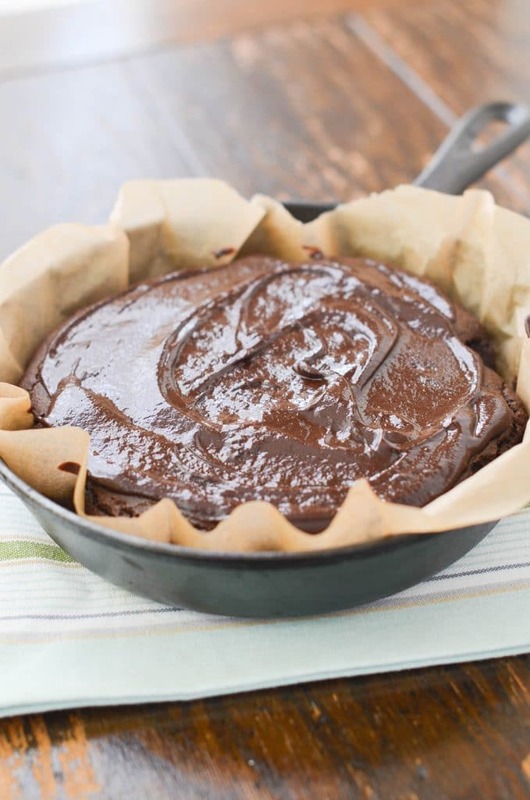 Pour batter into prepared cast iron skillet and smooth batter. Bake for 25-27 minutes until a toothpick comes out clean. Cool completely before icing/frosting. 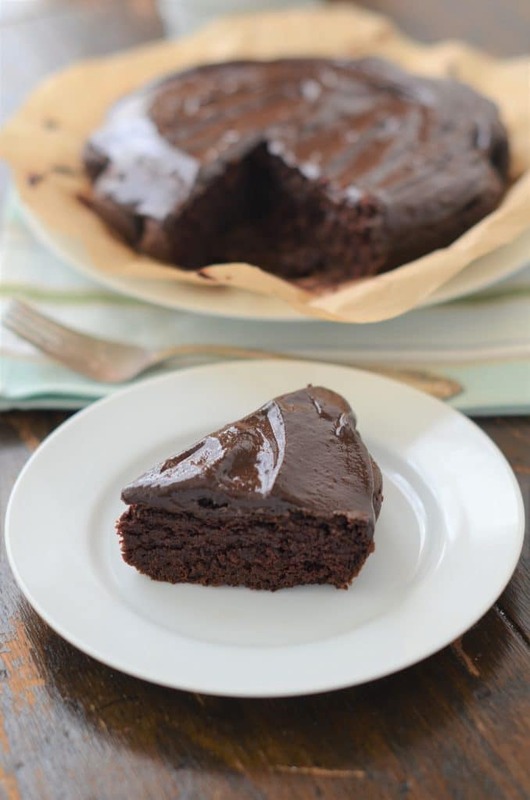 Consider using the Paleo Chocolate Ganache Icing on the site for this cake. 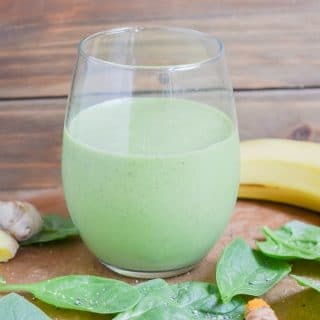 Previous Post: « 3 Easy Steps To The Best Spinach Apple Smoothie! Hi Vanessa, The cake can be kept in the refrigerator for a few days. Enjoy! Oh my gosh, I’m so excited to comment on this cake recipe! I feel like a real person again!! Chocolate cake all over again after being on Paleo the past almost years. THIS CAKE is amazing!!!!! My guests raved and begged for the recipe!!! Truth be told, I did add one additional TB of maple syrup and just a little coconut sugar because, you know, I like it just a tad bit sweeter. But that icing – OH. MY. GOSH. Pure decadence!!! It has a great texture thanks to the pumpkin and almond butter and the taste is like something wonderful from my past – you know, the days when chocolate cake was a regular indulgence. This is my favorite recipe of all. I’m keeping it in a safe place!!!! Give it a try! You’ll love it!! Hi Kathy! Thank you so much for your wonderful comment! I like your addition of a little more maple syrup and coconut sugar – it’s good to know what works. So glad you loved it! !